Sandvik Materials Technology, a division within Sandvik Group, which develops and produces advanced stainless steels, special alloys, titanium and other high-performance materials, will exhibit its technologies at booth 2701 at the Offshore Technology Conference. Visitors to the booth can interact with Sandvik Materials Technology’s technologies by using Showpad tablet devices to explore the next generation, high precision, corrosion-resistant materials. “Every year, OTC is a valuable opportunity for us to connect with the industry and share our expertise in leading corrosion resistant material solutions and our next generation high-performance materials,” Leandro Finzetto, Regional Sales Manager, Oil & Gas Americas at Sandvik said. The company’s advanced materials maximize production with quicker, safer and more efficient processes in the world’s most demanding environments. 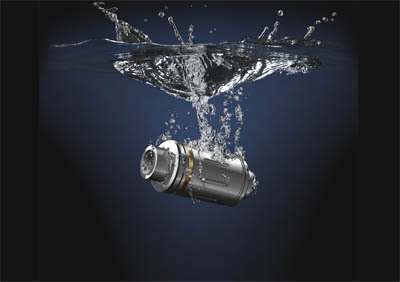 Sandvik Materials Technology is setting new industry standards with its next generation of high performance materials to meet the operational demands presented by the pressure in extreme water depths below 10,000 feet, and at temperatures above 400 °F. Sandvik Materials Technology will present a wide range of corrosion-resistant products at booth 2701, including OCTG tubing, downhole control lines, hydraulic lines for drilling risers, tubing for well screens and more. The booth will also display the complex components of powder metallurgy hot isostatic pressing (HIP) and Sandvik ClickLocTM rapid action connector for riser applications.